Betsafe – Free Bet Scramble! Spin for Live Casino bonuses! Win up to €750 in Live Casino Free Bets! Playing from your mobile device plus an enthusiast for slots and Live Casino tables? 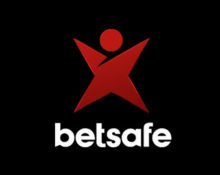 Then make sure to take part in the latest Betsafe campaign and compete against your fellow spinners for a share of €2,500 in Live Casino Free Bets. Simply wager on three extremely popular mobile slots to score points and race into the TOP10 to win bonus prizes ranging from €50 – €750 that can be used on the wide range of Live Casino tables at Betsafe. 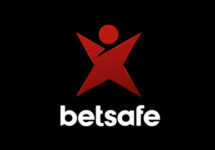 All Betsafe players are cordially invited to a 7-day wager race on three thrilling slots that will see ten lucky winners taking home a share of €2,500 in Live Casino bonuses. Spin on the selected games to collect points and race to the top of the leader board. Earning Points: OPT-IN on the promotion page to collect 1 point for every €10 wagered cumulatively on Book of Dead, Bonanza and / or Rainbow Riches. A leader board will be updated on Thursday, Friday and Monday throughout the race period. The TOP10 scoring players by midnight on 1st May 2018 will win a share of the Live Casino Free Bet prize pool: 1st – €750 | 2nd – €500 | 3rd – €400 | 5th – €200 | 6th – €100 | 7th & 8th – €75 | 9th & 10th – €50, credited as bonus money by 18:00 CET on 2nd May 2018. Wagering requirement is 1x prize amount within seven days on Live Casino games only, subject to the Betsafe bonus terms and conditions.